Chicago Handyman Creates beautiful kitchens and bathrooms. Contact us for a free estimate. A Warren Township High School Alumni, Dan Shirley has been in the home repair game for over 10 years. Starting his trade experience with the Warren Township Highway Department creating site surveys and drainage applications for Grandwood park, Wild Wood, and other parts of unincorporated Gurnee – Dan has a broad range of experience which lends insight to your project. So what exactly can your Gurnee Handyman do? Just about anything! Hang a picture, install a ceiling fan, repair drywall – you name it, we can do it. We will even advise you when it is time to get a permit. Are you ready to get that bath tub re-caulked? We can help with that. Need to get some fence posts replaced? Give us a call. Are you finally ready for your sink or shower to stop draining so slow? Chicago handyman of Gurnee is at your service. 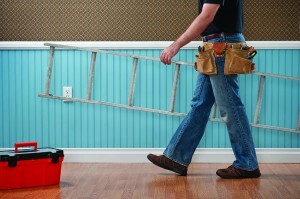 Chicago Handyman of Gurnee can help with full scale remodeling projects. Some of our technicians have spent time building homes in Gurnee and are familiar with many floor plan layouts and structural requirements. We can explain your options in great detail to ensure your remodeling project is a success, adds value to your home or office, and keeps you smiling for years to come. We have experience rebuilding kitchens and bathrooms, finishing attics basements and garages, or maybe you have a custom project in mind. With Chicago Handyman of Gurnee, your imagination is the limit. Basic Cleaning – kitchens, bathrooms, you name it, we clean it. Carpet Cleaning – Save thousands on new carpeting, let us clean yours. Move in / Move out – Let us help you get that deposit back, or prep for your next tenant. Office Cleaning – Make a great first impression with an office that sparkles. Renovation Cleaning – After a construction project, let us make the place look like new. Recurring services – Need a regular schedule? We can help. 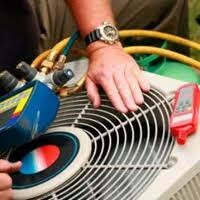 Chicago Handyman is your choice for heating and air conditioning in Gurnee. We are partnered with the best technicians in the business to provide you quality service when it comes to your home comfort needs. Or maybe you own a commercial property. Our Gurnee Heating and Air Conditioning technicians have over 20 years experience handling large commercial HVAC applications. Whether you run a retail store, or an industrial megaplex with air quality regulations, our qualified technicians are ready for your project installing and maintaining systems for HVAC in Gurnee. Is it time for a smart thermostat? Chicago Handyman in Gurnee is at your service. We can help you choose the right thermostat for your needs and budget. We will even help you set up your smartphone so even when you are on the go, you can regulate your heating and air conditioning. Gurnee has a diverse climate, a smart thermostat will learn your behavior over time and make automatic adjustments and suggestions regarding your home temperature management, helping you save money on your utility bills. A Chicago permit is typically only needed if you are making changes to, or something behind, the existing structure.